Packing up your home and moving to another town or city is a major event in most peoples lives. With the need to organise your travel requirements, new accommodation, employment, kids schooling, the connection of services etc, your time will be at a premium and stress levels will rise. Harris Transport furniture movers can help to ease the pain and provide you with our full service professional moving, storage and packing options, specialist transport in our purpose built furniture removal vehicles to any New Zealand destination along with additional services such as SECURE FURNITURE STORAGE , home valet, vehicle relocation and unpacking at your new residence. For those with the Kiwi DIY attitude we have for sale a range of reasonably priced packing materials and can provide a basic transportation only price where our experienced furniture moving personnel will uplift your goods, safely stow into the moving vehicle, transport to your new home and place them to your request upon delivery. GET A FREE FURNITURE REMOVAL QUOTATION ONLINE. 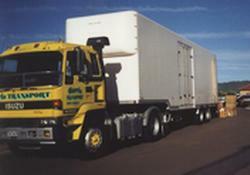 When you need the item you have purchased on TradeMe moved, the piece of furniture you have given to a family member delivered, the contents of your flat or bedroom transferred, or any small amount of household goods relocated within New Zealand, Harris Transport are the furniture movers to call. Our modern fleet of trucks run regular services to all major towns throughout the country with links into most other rural areas. These scheduled services enable us to deliver your goods at a competitive cost as we can often collect and deliver as we say, "on the way past" and share the vehicle running costs between numerous customers. 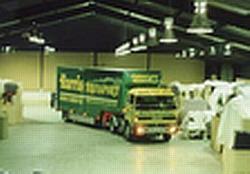 GET AN ONLINE QUOTE FOR FURNITURE TRANSPORT COSTS or call us to discuss your specific needs.